student receives an exceptional learning experience. classrooms, online discussions, phone and face-to-face meetings. can be found at http://ncva.k12.com. education programs. 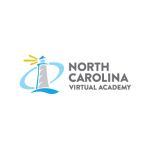 For more information about NCVA, visit http://ncva.k12.com.